The sun warms my shoulders as we navigate the trail leading to a park not far from our home in Maple Valley, Wash. Our dog pulls at her leash and sniffs the ground as my 6-year-old races ahead, dragging a stick behind him. My 10-year-old reads aloud from a list of clues I printed out from a letterboxing website, as my 14-year-old gets out her compass. My husband and I walk more slowly, enjoying the spring afternoon. The air smells fresh from a recent rain shower, and it feels good to be outside with my whole crew. When our family of five finally grabs a few hours together, I want our time to be meaningful. For the adults in the family, “meaningful” means no screens. For the kids, it means not being bored. One activity that satisfies all of our requirements is letterboxing. 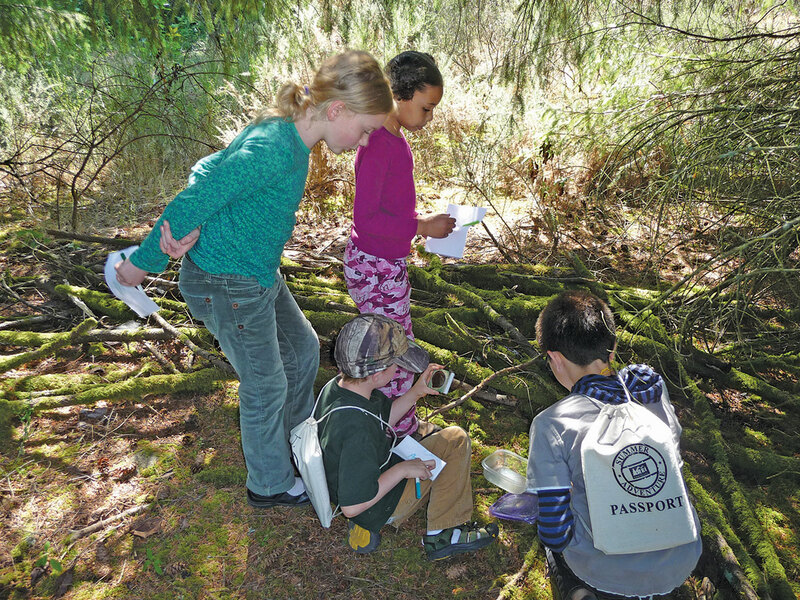 • Tacoma Nature Center offers letterboxing tips, resources, workshops and links to local letterboxes. • Atlas Quest is the world’s biggest letterboxing website, with a helpful set of icons (pet-friendly, bike-friendly, urban location) to help you find a hunt easily. • Letterboxing North America is also a good source of clues and information and has a section just for kids. Check out the ParentMap Starter Series on AtlasQuest, a letterbox adventure in Carkeek Park made just for our readers! 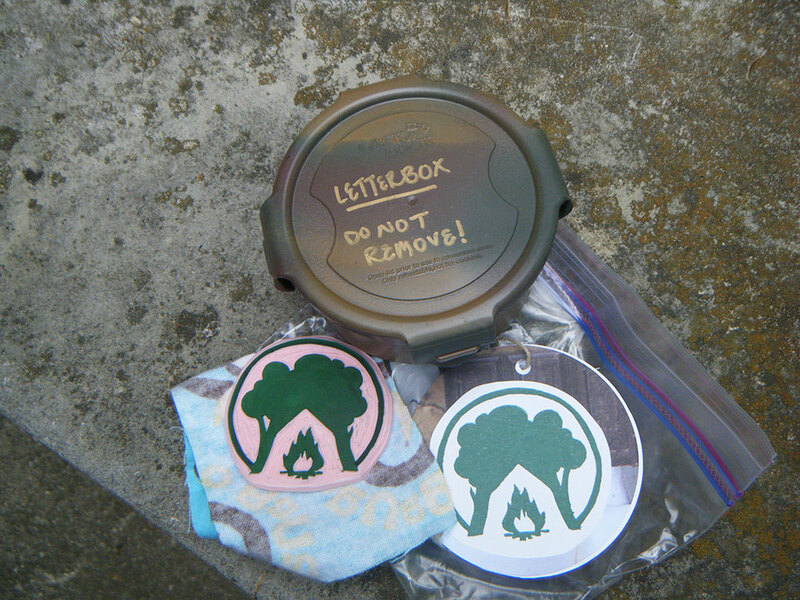 Letterboxing, the low-tech cousin of geocaching, is a fun, environmentally friendly hobby that combines rubber stamping, puzzle solving, hiking and navigational skills. The goal is to find a letterbox — small, weatherproof boxes that are hidden, or “planted,” by fellow enthusiasts — by following clues posted online. Once the box is found, you sign your trail name (a letterboxing nickname or handle that you choose) into the logbook inside the letterbox, and stamp the book with your personal stamp. In contrast to geocaching, which gives GPS coordinates instead of clues, letterboxing requires more puzzle solving, is very inexpensive and can be adapted to any age and difficulty level. For example, I can choose a letterbox hunt that combines an easier hike for my 6-year-old with fun clues to engage my older children. On this particular quest, we follow clues that lead us to a lake. There, as instructed, we count the number of wood pilings that stick out of the water (the clue sheet says we will need it later) and write down the number. We head back up a grassy slope to a trail and eventually arrive at a designated stand of trees, where the kids multiply the number of pilings by 10, as instructed in our clue sheet. They use this number to point our compass in the correct direction. We identify the tree where the letterbox has been planted, and my 14-year-old daughter pokes around near the roots to find the sealed box under some leaves. Victory! We gather around the treasure as she removes the logbook. After we each stamp a page, I write our trail name and use the hand-carved wooden stamp from the letterbox to stamp each of our own logbooks. The hobby of letterboxing is said to have begun in the mid-19th century, when a Victorian guide hid a bottle containing his calling card in the wilderness in Dartmoor, England. When others found the bottle, they left their own calling card. People eventually started leaving self-addressed postcards instead of calling cards, which the finder would then mail — thus the term “letterbox,” which is the British term for “mailbox.” The hobby evolved to using waterproof boxes as receptacles, and logbooks and rubber stamps eventually replaced the postcards. Letterboxing in its current form reached the U.S. when an article describing it was published in Smithsonian Magazine in the late 1990s. It soon spread, and there are now an estimated 85,000 letterboxes scattered across the globe. Letterboxing can be done anywhere, including cities, remote locations, even indoors. Washington state ranks number five in the U.S. as far as sheer numbers, with more than 4,000 active boxes in the state, according to letterboxing website Atlas Quest. A search on Atlas Quest for letterboxes hidden in Seattle shows a wide range of locations, from an urban game store to beach parks to a Downton Abbey-themed hunt in Washington Park Arboretum. There's even a starter series for ParentMap readers! The possibilities for this hobby are as endless as your imagination. You could plant your own box with your family, or collect stamps from boxes around the country while on road trips or vacations. 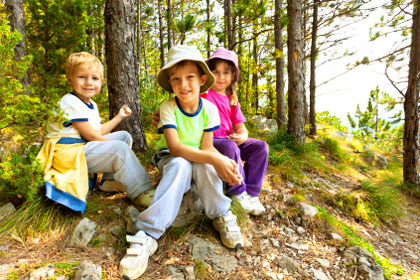 Letterboxing is even becoming popular as an unusual birthday party theme for kids. Your tools are easy to collect: a trail name, a family stamp, a logbook (notebook of some sort), inkpad, pen and optional compass. My kids each have their own logbook and a stamp they each chose from a set I bought at a craft store. For our family stamp, we made a simple stamp of our last initial from craft foam and a piece of wood (it’s also fine to buy a stamp). To find your first quest, go to a letterboxing website such as Atlas Quest or Letterboxing North America, both of which list thousands of clues to letterboxes, as well as tutorials on everything from the basics of the hobby to safety to how to plant your own box. You can search for a letterbox to find by typing in the city or region; you can also add filters to find a hike that’s pet friendly, short or long, etc. Make sure that the hike length and terrain will work for your group and check to see if any tools, such as a compass, are required. If you don’t find a letterbox on one site that sounds like a good hunt for your family, check the other, as each has different listings. Then print a copy of the clues to take with you on your adventure. As with any hobby, letterboxing has developed its own lingo. Here are a few terms you might encounter. • Trail name. A letterboxer’s “handle” — as serious or as fun as you like. For safety reasons, don’t use any personal information. • SPOR. “Suspicious Pile of Rocks,” the unnatural rock formations used to help mark the position of a letterbox when there aren’t clues in the natural environment. • PFX count. A letterboxer’s record of boxes planted, found or exchanged. On sites such as Atlas Quest, you can keep an online record. • Mystery box. A clue that does not state where the starting point of the hunt is. You must figure it out from cryptic hints contained within the clue. • Hitchhiker. A homeless letterbox hidden inside another letterbox. If you find one, remove it and plant it in a different letterbox. • When you find a box, move away from the hiding spot to open it so you don’t spoil the hunt for others. Use the same caution when returning the box, and make sure that it is properly sealed and hidden. • Letterboxing is intended to be environmentally friendly. Leave the area better than you found it, pack out any trash and be careful not to disturb animals or their habitats. • If you find that the box is missing or damaged, or that the logbook is full, contact the planter through the website on which you found the clues. • Keep the secret! Don’t publish a letterbox’s hiding place or tell others its location.